There have been several recent calls from people and organizations concerned about global warming to use nuclear electricity generation as part of the solution. This includes The New York Times, the Center for Climate and Energy Solutions (formerly the Pew Center on Global Climate Change), and a group of leading climate scientists, James Hansen, Tom Wigley, Ken Caldeira, and Kerry Emanuel. Don't get me wrong. Global warming is real, it is caused by human emissions of greenhouse gases, it is bad (as described in detail by the new National Climate Assessment), and we have to do something about it. But solar and wind power, combined with increased efficiency and conservation, can do the trick. Elimination of exorbitant government subsidies to the nuclear and fossil fuel industries, and a gradually increasing carbon tax, fee and dividend, or a cap and trade system like the one that worked to tame acid rain, will push us to do the right thing. More than 99 percent of the current 437 nuclear power systems in the world use highly enriched uranium to produce heat and boil water, which drives turbines. Plutonium and many other highly radioactive elements are waste products. 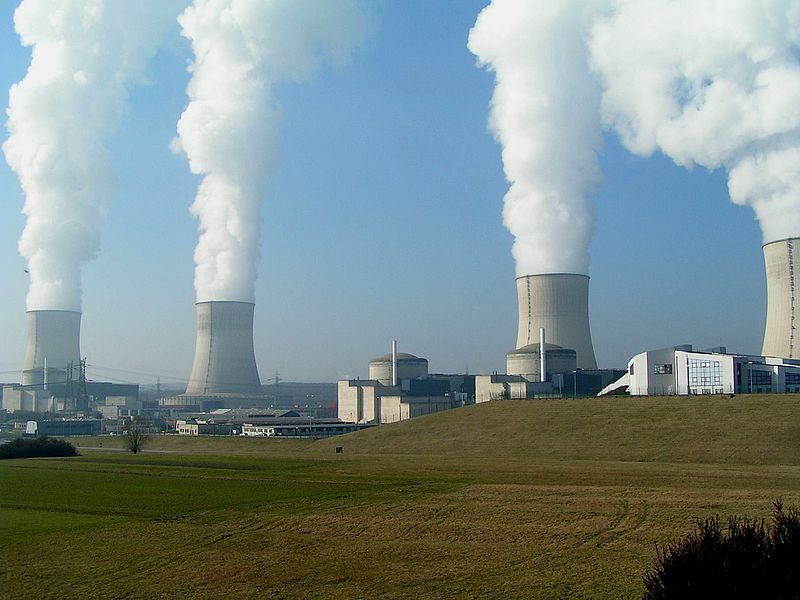 The benefits of nuclear power include minimal emissions of greenhouse gases that cause global warming, and a fairly reliable continuous source of electricity. Nuclear weapons proliferation. A plant for processing fuel for a typical nuclear reactor could produce enough highly enriched uranium for 10-30 nuclear weapons per year. Waste reprocessing could produce 30 plutonium weapons per year. Nuclear power, partly due to the ill-conceived Atoms for Peace program, preceded the spread of nuclear weapons to India, Pakistan, Israel, and North Korea, and Iran appears to be trying the same route. While additional nuclear reactors in existing nuclear states would not be a problem, proliferation of nuclear power around the world would only exacerbate the problem of nuclear weapons, and this is the greatest danger the world faces. Possibility of catastrophic accident. Based on the 20 core melt events that have occurred in military and commercial reactors worldwide since the early 1950s, including Three Mile Island, Chernobyl, and Fukushima, Lelieveld, Kunkel, and Lawrence showed that the risk of catastrophic nuclear accidents has been drastically underestimated. They showed that the risk of human exposure to dangerous radiation from nuclear accidents in eastern United States, virtually all of Western Europe, and East Asia is higher than once every 50 years. Nuclear reactors are built, operated, and regulated by humans, and humans make mistakes. Accidents can happen not just from meltdowns, but from earthquakes, tsunamis, and aircraft accidents. Possibility of terrorist attack and radioactive release. None of the nuclear reactors in the United States are guarded against terrorist attacks. The spent fuel, now being stored outside the containment vessels, would be an easy target, and sophisticated terrorists could also cause a meltdown. Unsafe operation. In the United States, the Nuclear Regulatory Commission has a cozy relationship with the nuclear industry, resulting in poor oversight and enforcement of rules. The industry has a for-profit culture that emphasizes profit over safety. There are planned and unplanned radioactive releases during routine operation. There is lax enforcement of fire protection rules at nuclear plants. And there are no viable evacuation plans should accidents happen. Not economically viable. Nuclear power is incredibly expensive. It could not even exist in the U.S. without huge government subsidies, including insurance against accidents. Too cheap to meter, a claim when nuclear power was first being developed, was a fantasy. Waste disposal problem not solvable in near future. For political reasons, there is no repository for the spent fuel, which accumulates at each nuclear power plant, just waiting for an accident to happen. Extraction of uranium very damaging. Uranium mining exposes workers to lung cancer and the surrounding areas to contamination. In the U.S., it is Native Americans who suffer disproportionately. Nuclear power emits 10-20 times the carbon dioxide as wind power. Mining, processing, and transportation of nuclear fuel is energy intensive. Proponents of nuclear power, recognizing these dangers, propose new "safe" future generation technology (which does not now exist), assembly line production of standard designs, and continued operation of existing plants that are already beyond their 40-year design lifetime in the United States. I certainly agree we need research into new nuclear technologies, to see if they are a real potential solution sometime in the future. But solar and wind energy is here now. In the meantime we need a rapid move away from coal and into solar and wind sources of green energy. Proponents assert that wind and solar are not viable because of cost, but with the plummeting price of solar panels, and the global potential of wind power to provide all the energy needed on the planet, they are wrong. We will need electrical grids that will combine wind and solar over large areas to compensate for local intermittency, along with other backup sources and new electricity storage options. The planet has safer, cheaper options for energy that do not emit greenhouse gases and do not present the same dangers as nuclear power. Proponents argue that although solar and wind technology is here, it works, and is safe, they see no political path to adoption. But I am optimistic that this problem can be solved. We worry about tipping points in the climate system, whereby with a little more warming, methane (a very strong greenhouse gas) will suddenly start spewing out of the Arctic soils and oceans, or catastrophic melting of ice sheets will start. But there are also tipping points in human behavior. A decade ago, who would have thought that today we would have gay marriage, legalized pot or a black president? We have free will, and we can fix this problem if we want to.